Pick Me Up with the FOTON Pick-Up! Oh yes, girls, like boys, love cars! I drive only what gives me that perfect oomph! 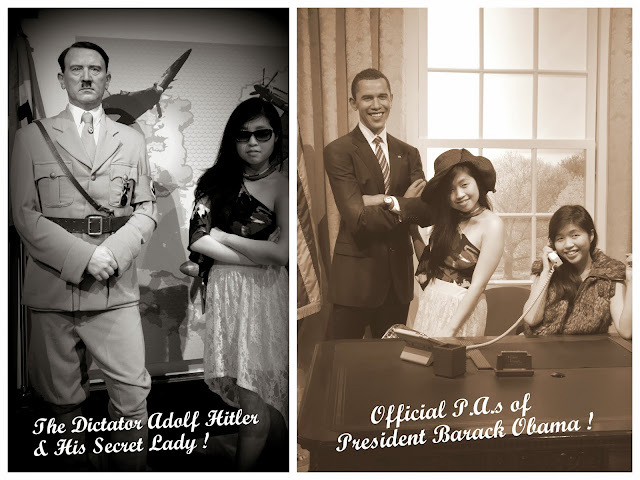 Oh you know...power dressing will always be one factor of success. Oh, what can I say?! Yeah...I know my car ain't updated anymore. It's just that I'm still waiting for the right one. Oh, I've found the next one! I saw this poster below. Oh FOTON, where have you been all these years? Finding you drove me to cry happy tears! I particularly got my eye on the FOTON THUNDER. This is perfect for my family of 5! Why would I swap my old car for a FOTON? I just had it with a trunk so small...so limited. I hated having my gadgets & gizmos sit on my passenger seat. Oh, I just need a stylish pick-up with a spacious trunk! Only 2 people can sit on the trunk of this one! More than space, FOTON's going to be a life saver! Oh, compared to a small car, the view up there will definitely be amazing. And hello to more roadtrip adventures! Oh, I just can't wait to take a ride with you. In fact, I'm already imagining my ride with you! I'm totally revving up my ride this time. It's time for me to make the FOTON switch! 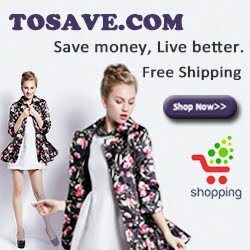 There will always be styles & trends of the season. There will be high & low seasons. But with this car, I know it'll be a classic. That's why this is the car I seek! Get a chance to trade-in your old vehicles from October 26 to 27 avail of BIG DISCOUNTS and BIG REWARDS when purchasing FOTON vehicles at the event. Receive amazing giveaways just for coming and you get even more when you test drive our passenger vehicles or attend our forums and trainings. No entrance fee! 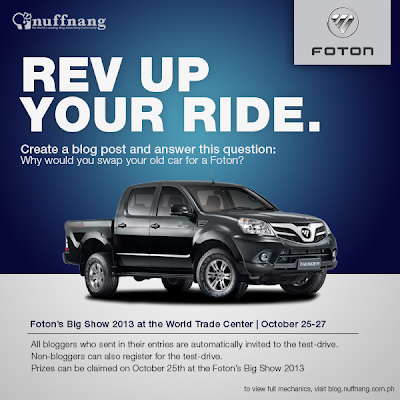 This is your chance too to attend the test-drive at Foton's Big Show 2013! Don't get left behind this time. I decided to look playful & SOPHIEsticated for tonight's event. Where do you think I'm headed with this look? Clue: This is the 2nd time I'm attending a glamorous feast fit for the gods. I chose to wear colorful feathered earrings and a hot pink bag. Oh, I just love how the colors pop to complete my chic look. So girls, remember, when done right, animal prints will always be a smart choice. It never fails to make anyone look stylishly fierce and confident in an instant. So where am I off to with this ANIMALISTIC look? Oh yes, you got that right! It's nice to be back for another FLAMING FEAST! My outfit says I'm definitely ready for this. I'd like to congratulate the beautiful & amazing Ms. Candy Lim for another successful event! It's unfortunate though that this will be the last Chef's Night for this year. It's great that Gloria Maris accommodated 300 guests this time around. The place was just packed with very excited guests! Gloria Maris Greenhills staff & servers never fail to provide exceptional service. Every server always has a smile on his face every time! And of course, I'd like to commend Ms. Janet for the numerous years of VIP treatment. I'll give you a snapshot of this uniquely concocted feast from start to finish already. This is indeed a unique concoction. I just love how the crispy potato wrap complemented the fresh salmon. Oh, this is my ultimate favorite for tonight! The fusion of Crabmeat & Shark's Fin is just heaven. This is quite ordinary for my taste buds. I'd definitely go with the Three-Treasure Boiled Coconut Soup! Oh yes, this is indeed a bountiful feast! I just love the dry ice effect! This, again, never fails to make a dramatic ending to the sumptuous feast. If you were to ask me which of the two Chef's Night I enjoyed more? Gloria Maris Greenhills is one of my most favorite restaurants. You, my loyal readers may ask why??? Gloria Maris has a world-class ambiance that never fails to meet my standards! With Gloria Maris, there's no such thing as plain. Even the plainest and simplest dish would always taste extraordinary. But here, being and serving only the best is not an option...it's always their priority. How did Globe GoUNLI30 give me the REAL UNLI chat experience? 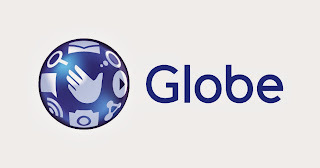 Globe brought me & my family together in an instant for this WAFU bonding! I was able to contact everyone in less than 10 minutes via Viber, WeChat & SMS!!! Oh my Php30 definitely went a long way. UNLI CHAT + UNLI BUFFET = UNLI CHAT DINING EXPERIENCE! · With GoUNLI30, subscribers get unlimited texts to all networks, unlimited calls to Globe/TM, and unlimited chat with the best messaging apps like Viber, Kakao Talk, Facebook Messenger, WhatsApp, WeChat, Line and the telco’s very own messaging app GMessage without the need for Wi-Fi or additional data charges. Available for only P30 valid for 1 day, GoUNLI30 gives you no excuse to stay out of the loop and connect with more than 1 billion users around the world regardless of mobile network or location. · Go all-out unlimited with GoUNLI30 and UNLICHAT25 now. 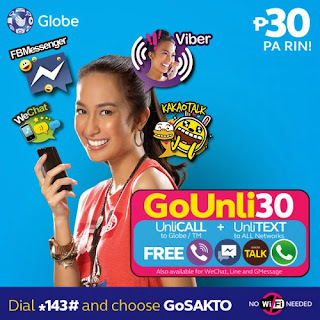 Register by dialing *143# and then choosing GoSAKTO on your Globe mobile phone or texting GOUNLI30 or UNLICHAT25 to 8888. 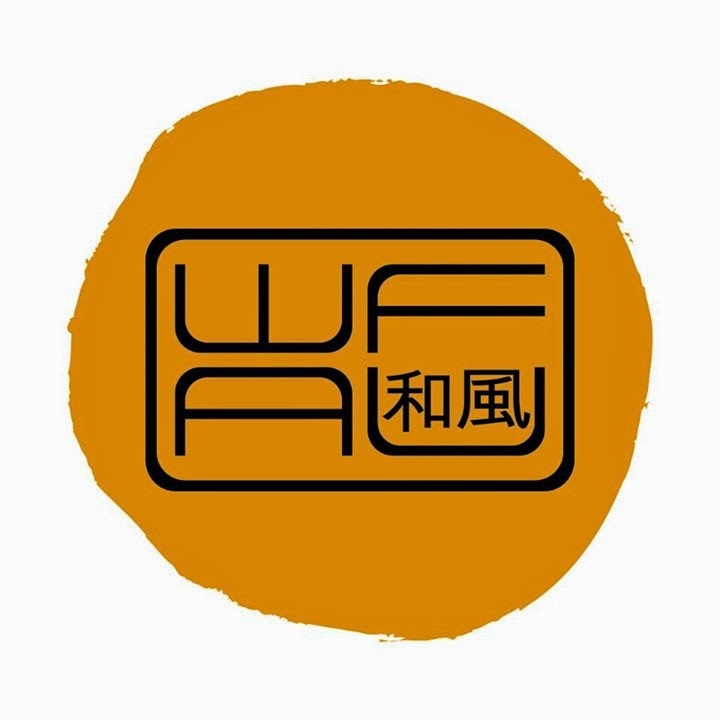 "Today’s mobile phone owners are social and technology-savvy users who constantly look for new ways to connect with their circles, here and overseas." 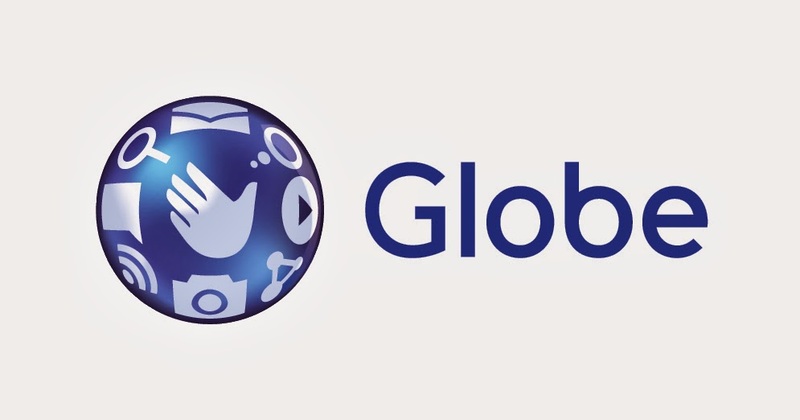 Globe definitely allow users to go beyond call and text at a very reasonable price! Go try this GoUNLI30 and start inviting people for this UNLI buffet too. Use your Php30 wisely so you can spend more to feed your tummy! 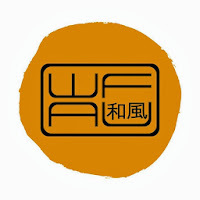 So forgive me WAFU for I have sinned. I hated you when I first tried you out (2nd week of opening). But quality was not that great for the price. Except for your elegant and sophisticated interiors and architecture! But I admit...I made a mistake. Maybe I tested you too early. Maybe you were still in the dry-run phase. Today, you have redeemed yourself to me. 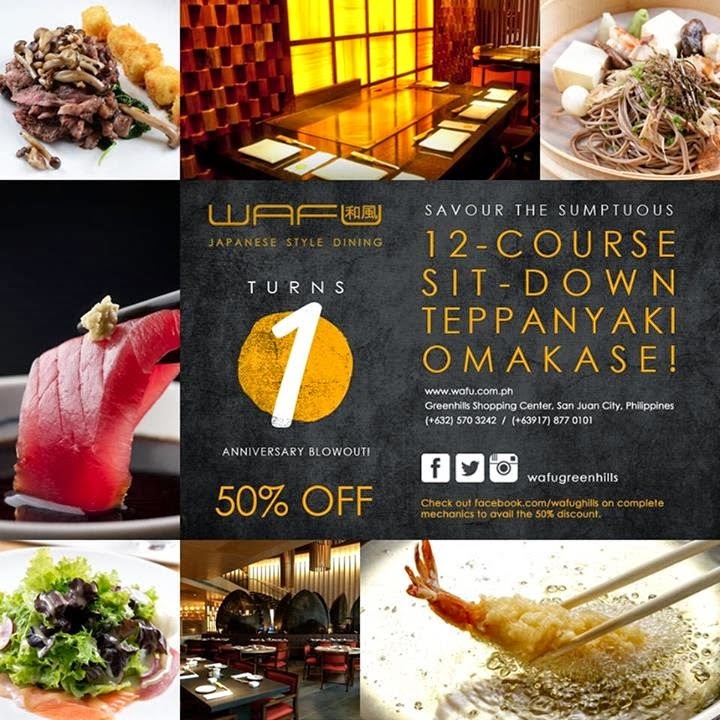 Today, you have re-defined Japanese Dining. Today, you have finally reach my standard! Every dish of this sumptuous 12-Course was indeed a chef's signature. Every bite was like having a glimpse of paradise. And every penny I paid for was definitely worth the experience. I'll give you a snapshot of my gastronomic treat from start to finish already. Oh! I just love how the blow torch makes every fish entree delicioso! This actually makes the dish easily absorb the flavors while keeping it perfectly tender. Oh! You'll just love the creamy and hearty goodness of this! 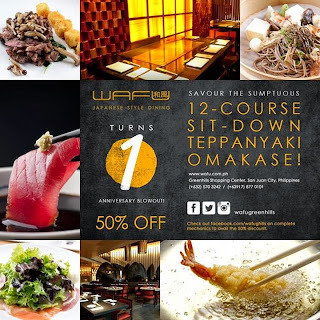 I'm actually booking soon for my second round of unlimited teppanyaki. Trust me...you've gotta try this buffet deal! Remember, this blow-out promo is until December 31, 2013 only. Instead of paying Php 1800, you pay only Php 900. And Service Charge is 10% plus 12% VAT. 1 ROUND OF COMPLIMENTARY WINE/BEER/SAKE. Believe it while it lasts! Oh yeah...you got that right! I'm on my way to my 1 HOUR OF FAME in Hongkong!!! You may ask why board this??? 'Cuz the only way up to the PEAK TOWER is this!!! Oh yes...I know I know I'm late for my RED CARPET GRAND ENTRANCE! But look at the bright side, all eyes are on me now. Yeah! 1 more check in my bucket list. So who did I meet??? Oh hello Albert! Thank you for the Einstein genes!!! Oh! Such a THRILLER with MJ!!! Dressing up for the full blown effect! Oh, what a copycat! 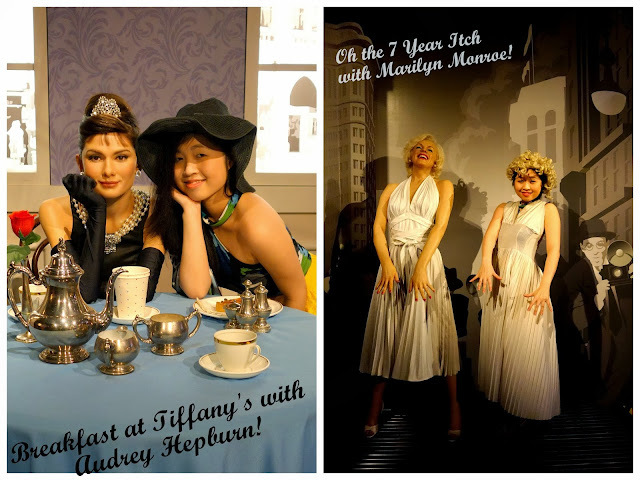 I'd like to introduce you to Marie Tussaud, the name behind this museum. She's one figure often neglected, but without this lady, there will be no 1 hour of fame!!! 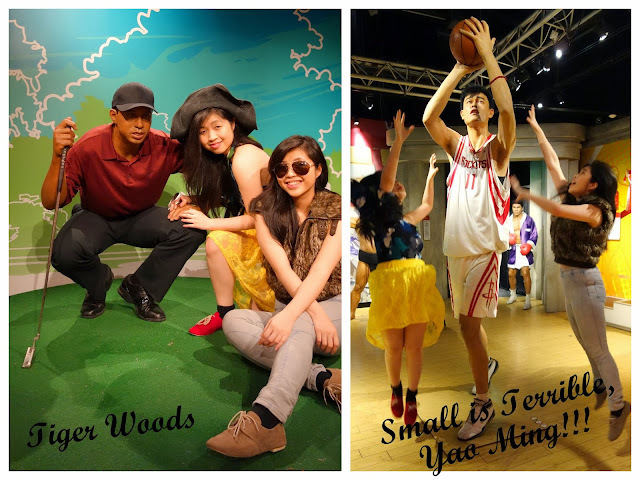 This place is more than just a WAX MUSEUM! It's where every girl's and every boy's fantasy come to life. A chance to get this close & personal with famous personalities? No rails? No bodyguards? No limits? Oh yes! 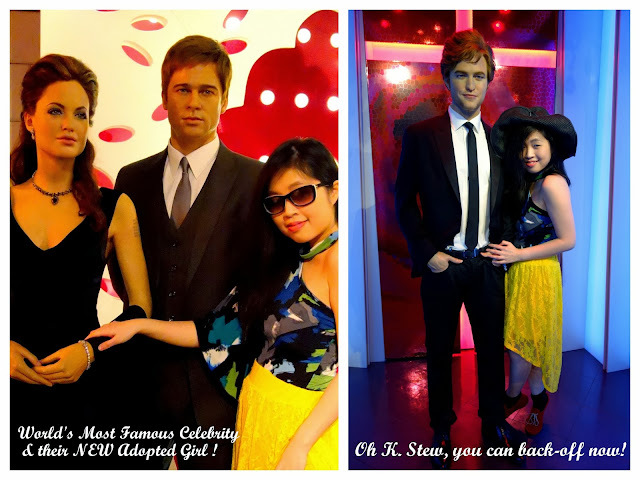 That's possible only at Madame Tussauds! 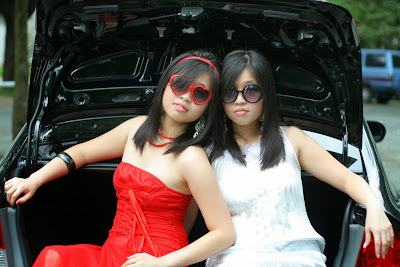 Thanks Tiffany Ng for taking these lovely photos... Love ya Cuz! 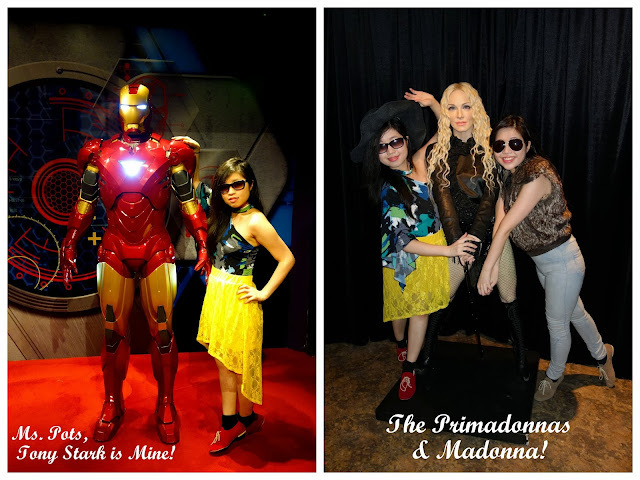 Thanks Madame Tussaud for all those photo ops! Now, I'm back to reality as still an aspiring fashion blogger/model. JUST BE YOURSELF as your personality will definitely shine through it!